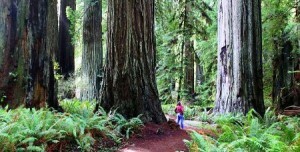 The Redwood trees in California can grow more than 320 feet high. Some have a 24 feet wide trunk. They have a life span of thousands of years. How deep their roots must be! But surprisingly, their roots don’t grow deep at all. They move horizontally, and intertwine with the roots of other redwoods and thus gain stability. What is nature whispering through the redwoods? A leadership lesson…. Last year I went a redwood forest in California and there were these massive redwood trees. Some of them are 2000 years old, others are thousand year old, hundreds and hundreds of years old. There are the tallest tree in the world there are the biggest tree in the world and there are some of the oldest tree in the world and I was walking with a friend and we happen to come across a group of Chinese tourist.They had their cameras and they were all in a circle around the forest rangers, did you like the story so far? the forest ranger was teaching the underground secret of the redwood trees. Now I am from the counter culture from 1960’s in America, so I have always been attracted to underground secretes, so I stopped and I told my friend, lets listen to this and the forest ranger, I never thought I would hear a Bhagavat Gita class from a forest ranger. It was actually he didn’t know what Bhagavat Gita is but he was speaking the message of the Bhagavat Gita by just explaining the nature of the redwood trees. First thing, you are with me, so far it’s very important, actually he explained that in order for tree to grow tall the roots must go deep, because the roots are like foundation, like in your house if you don’t have strong foundation when a storm comes it’s gonna crumble but nobody sees your foundation, people might say when you are building a house why waste with the foundation nobody is going to see it just make everything else nice but it’s necessary so with the tree what roots keeps it alive its where the life comes from he said the redwood trees are tallest tree in the world and the biggest tree in the world and the roots do not grow deep and then he explain how here in the north California there has been massive destructive earthquakes. there has been incredible snow storms, windstorms, hurricanes how is it that these red wood trees in loose soil and hilly terrain are growing higher, higher and higher there for several thousand year through the earthquakes and the storms if their roots are not very deep. He told that the red wood trees their roots they grow outward underground they grow out and they specially grow seeking the roots of other red wood trees. One red wood tree is going this way another going this way when their roots meet they intertwine make permanent lock with each of their roots that’s on one side and on the other side there are so many other redwood trees going and it’s going and locking the roots with I was started looking towards some of the roots that were on the grounds and they were locked unbreakable essentially every tree in the forest Is interconnected with every other tree directly or indirectly. 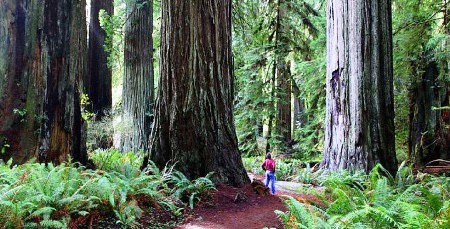 this is like their networking and the little tiny baby redwood trees just when they start growing the big ancient giant come with their roots and rap around there little baby roots to make the little red wood tree almost indestructible and it grows and it grows and as they help each other they all become strong. and in this way these live to be the oldest tree in the planet and they grow higher and higher and higher through all the storms and earthquakes of their life you see our roots as human beings are our affection our love our compassion to each other when the roots of our heart are interconnected that’s what gives us individual and collective strength and power. as they said united we stand divided we fall and what I got from this story is a beautiful illustration form mother nature that teaches us the concept of seva in love, in compassion, in service to others we gain the greatest strength stability and fulfillment within. Human beings are meant to live in this spirit real leadership is to inspire these values of seva of service from the heart with compassion due to the realizations we have found in our life. 5 Responses to "Mother Nature teaches….."
Truly an awakening experience . 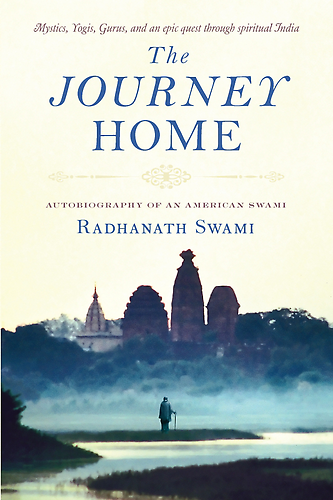 The words of Swamiji seem to strike at the root of the penury in our hearts . 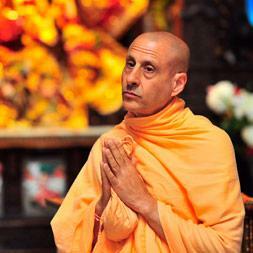 Radhanath Swami as a perfect teacher teaches through such a beautiful example of nature. Thanks for sharing. Thank you very much for wonderful site.